An initiative of the municipality of Rotterdam, Erasmus University Rotterdam, and the Rotterdam University of Applied Sciences. Together with private and public partners we aim to explore and develop big data solutions for urban challenges. Big data is a hot topic, because it has such a great potential. But how can its potential be fully realized in Rotterdam? Which resources are needed and what risks are at play? Which data is available? How reliable are these data? And what about privacy issues? The Knowledge Lab Urban Big Data investigates these and other important questions. We focus on the city and all of its participants: inhabitants, visitors, companies and government. We explore the potential of big data through pilots with various stakeholders. We use the findings from pilots as input for follow-up research. 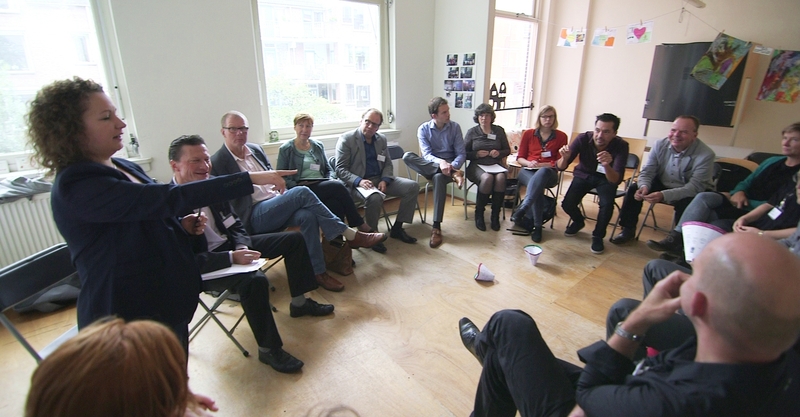 We regularly cooperate with a broader network of individuals and organizations, including Aat Brand (Municipality of Rotterdam), Sunil Choenni (Rotterdam University of Applied Sciences), Jan van Dalen (RSM Erasmus University), Liesbet van Zoonen, Luuk Schokker, Emiel Rijshouwer (LDE Centre for BOLD Cities), and Saskia Bayerl (Sheffield Hallam University). We also aim to cooperate with other Knowledge Labs (Kenniswerkplaatsen) in Rotterdam. There are six other Knowledge Labs: Livable Neighbourhoods, Rotterdam Talent, Health (Cephir), Smart Port, Urban Labour Market, and St-Raw. Our program comprises a number of activities in the field of research and policy projects on the one hand, and data empowerment on the other. We identify, develop and execute projects on social issues that are relevant for both science and policy, while respecting the so-called FAIR principles and taking citizen perspectives into account. You can find an overview with our previous and running projects here (in Dutch). Data empowerment is about developing knowledge about and insight into both the opportunities and risks in urban big data. How are city dwellers enabled to profit from the opportunities, while heeding the risks (such as loss of control on data of or about themselves)? In order to promote such empowerment we organize lectures and symposia (see our updates; mostly in Dutch), data walkshops and various activities with and for students, such as hackathons and collaborations in theses research between the Rotterdam universities and municipality. We use our website and LinkedIn platform to share new knowledge and research, and to engage and bring together all stakeholders.